The main objectives of the project were development of educational programmes, which nowadays help to easily understand EGNOS system and its principles and also functioning GNSS systems in general. The expertise in area of satellite navigation, which was very helpful when running the project, was gained by ISS through implementation of predecessing project called SISNeT. 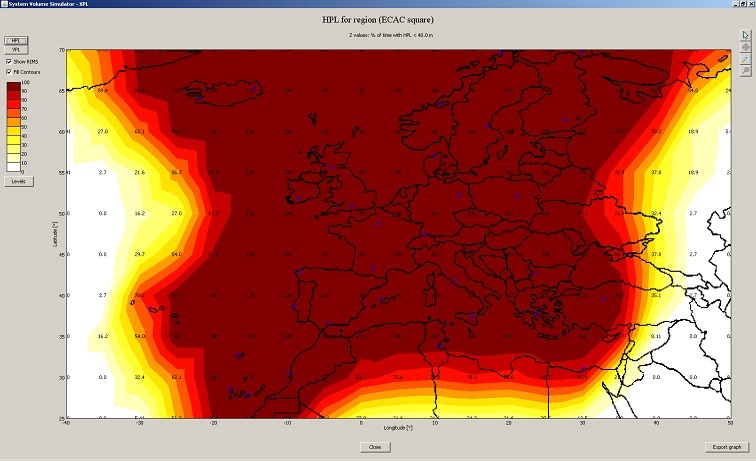 Part of the project was also running a monitoring station, which was included in of EGNOS Real-time Monitoring Network, and further broaden ISS participation in the network. SBAS MeNTOR is software which logically follows the idea of SBAS TeACHER developed in previous SISNeT PECS project. Where the TeACHER enables users to modify contents of SBAS messages in visual way, the SBAS MeNTOR continues with enabling users to define the desired values and states of the whole SBAS (Space Based Augmentation System, e.g. EGNOS, WAAS) and let the software generate all the specific messages of the selected period. The same task could be achieved by TeACHER software, but it would take more time (in order of magnitude) and user would be responsible of linking the data together flawlessly, which is next to impossible. The second tool is the SBAS Simulator, which is a type of system volume simulator. The SBAS Simulator is software that allows users to process given scenario and produce a prediction of the SBAS operation under those circumstances. Such tools already exist, but it is not possible to make them available to public for various licensing and non-free platform dependency reasons. 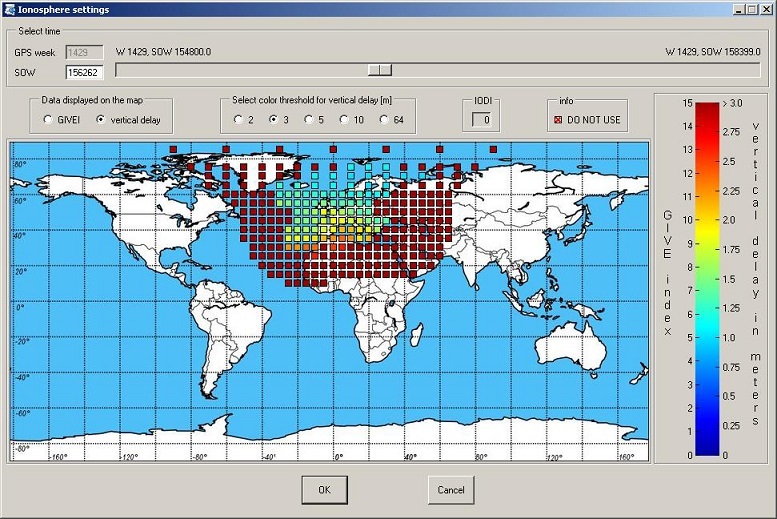 This software tool was developed in Java and therefore available to user over Internet, regardless of their platform or location.The tool can compute values for a single point, for multiple points evenly spaced within a grid over a geographical area and plot them in easily readable way. The tool is very user friendly and provides all necessary user interface elements to setup up the simulation, view the results and store the graphical representation of those as an image.The tool is based on Java platform and could be executed from any java-enabled computer. It can be found here. 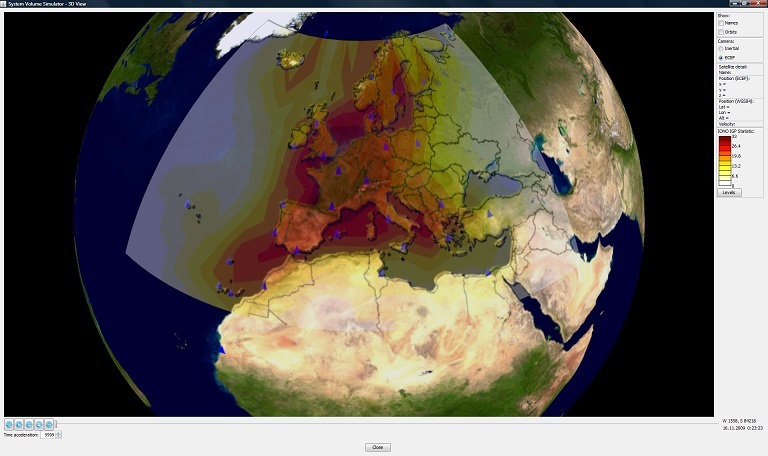 Ionospherical delays obtained from EGNOS system. IGP statistics and RIMS stations used for simulation.